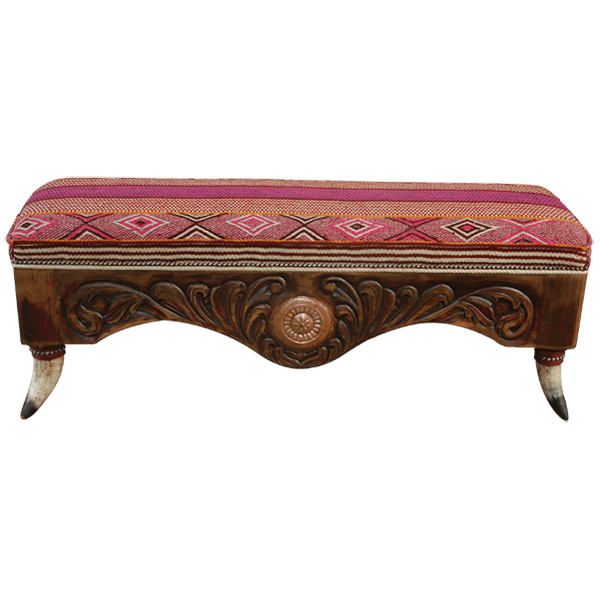 The bright, fabric upholstery on this handcrafted, Western style bench blends perfectly with its lovely finish and its copper details. The bench is designed without a back, and its comfortable, well padded seat is upholstered with multicolored, striped, fine fabric, embellished with geometric designs. The fabric is hand tacked to the solid wood frame with decorative, silver nails. The front of the bench has a gorgeous, curved, colonial style apron, and centered in the apron is a large, hand forged, copper concho. 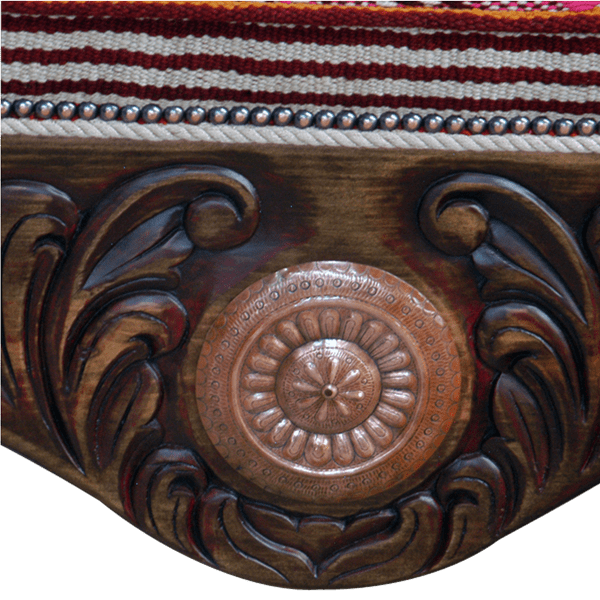 The concho has hand carved, floral designs on each side, and the copper concho design is repeated on the lateral sides of the bench. The apron has a gray, fabric braid that runs through its entire top. 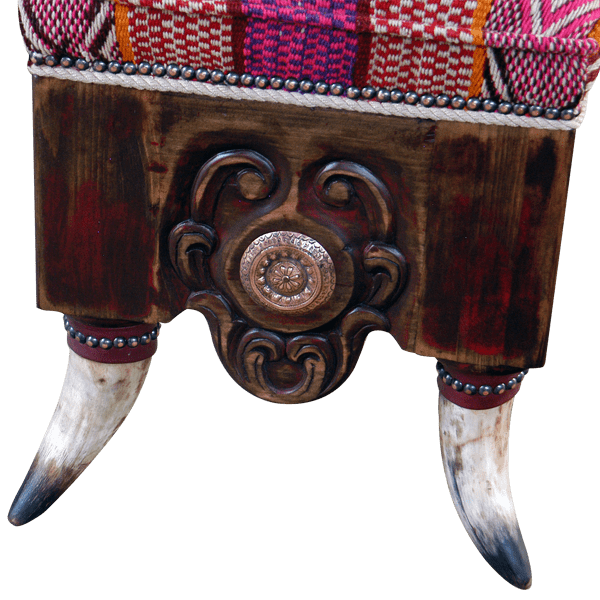 The bench rest on sturdy, inverted, cow horn supports, and the hilt of each horn is adorned with leather straps hand tacked with decorative, gilt nails. The bench has an antique finish, and it is made with the best, sustainable, solid wood available. It is 100% customizable.